It combines the best of swimming, basketball, lacrosse, and wrestling. The most fun you can have in the water. ​The game is easy to learn but takes a lifetime to master. Water polo is a great way to get in shape. You don't have to be fit to start, but you are guaranteed to be in no time. It's excellent cross training for other sports. Ask us about our numerous success stories. Our players benefit from coaches with decades of experience coaching players in Texas, California, and Colorado. They have coached kids at all levels from beginners to national level water polo players. Pascal played water polo at Homestead High School in California, the University of Colorado, and on several masters teams. He coached high school teams in California and college teams at the University of Colorado and University of Texas. His college teams made 2 CWPA National Championship appearances. He currently focuses on age group and high school polo in the Austin area. In 2015 coach Pascal was awarded the top boys Developmental Coach in Texas. John Ivins, "the Bad Cop", "the Big Teddy Bear"
Coach John has 4+ decades of water polo experience. He played for collegiate powerhouse UC Irvine in the 1970s and was a US A-level (national team) player. 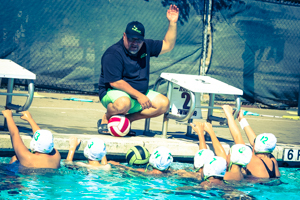 ​Recently he coached an age group team from International Water Polo Club in Los Alamitos, California to a 3rd place finish at the National Junior Olympics. 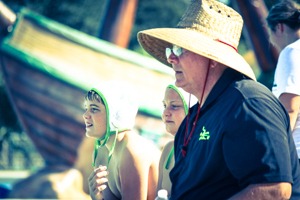 Coach John also has a 15 yr old grandson that plays with Zilla Water Polo Club. Teach our players how to play winning water polo and maximize their potential in the sport. Develop young men and women by teaching life lessons and applying them to the sport of Water Polo. Grow water polo throughout Austin and Texas. Provide fitness and competitive opportunities for all ages and skill levels. Have fun and develop life long friendships! Zilla is a year round water polo program for both boys and girls. We train kids from 8 year old through high school seniors. Although we mostly compete in local and state tournaments, several times a year we attend out of state competitions including the National Junior Olympics championships held every year in California. Who makes the ideal water polo player?